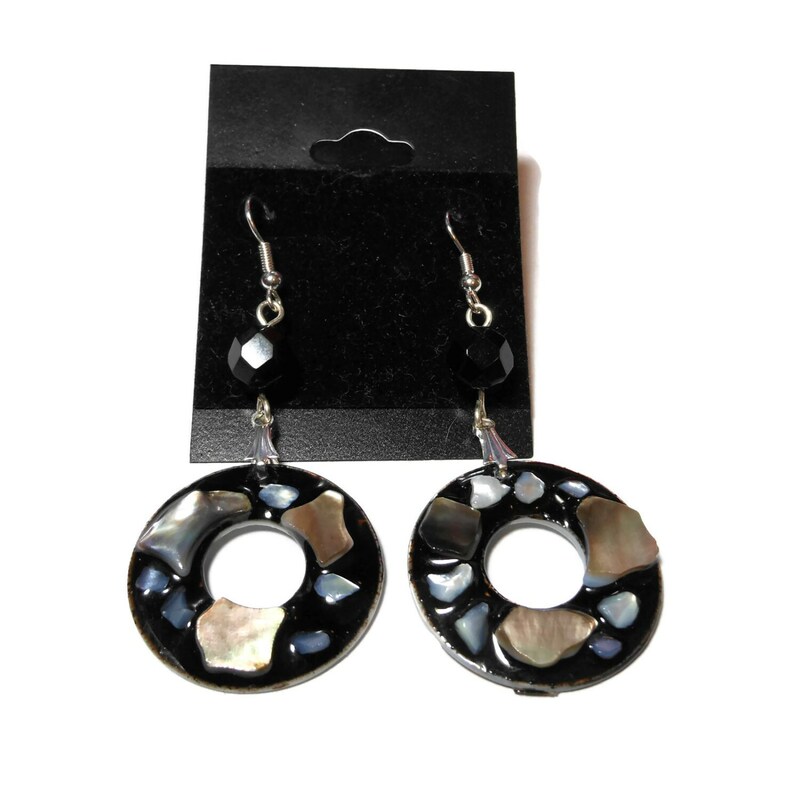 Black lip shell earrings, mother of pearl, lip shell in black resin, vintage glass beads, silver plated, donut shaped pierced earrings. 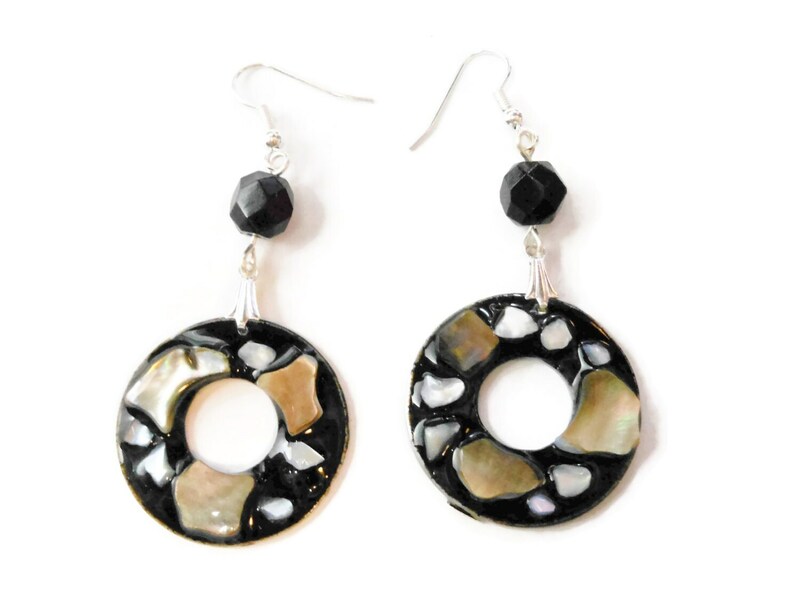 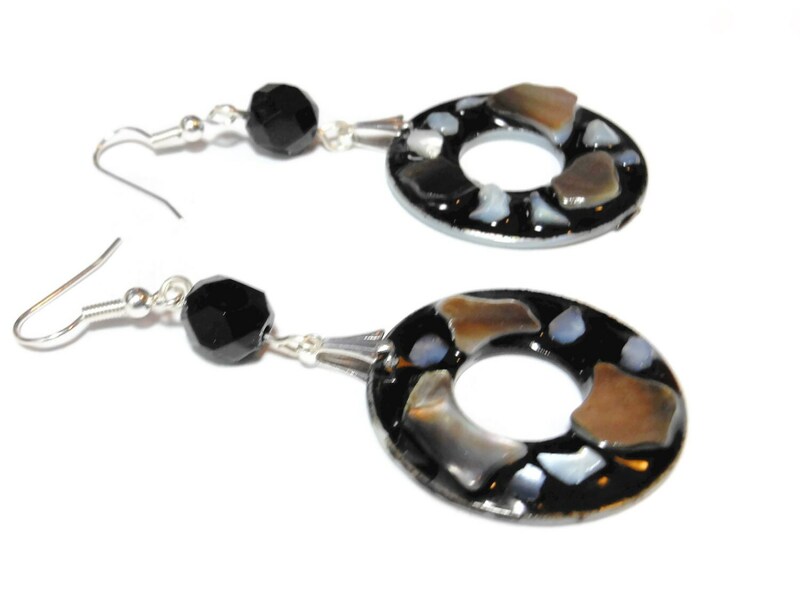 Pierced black lip shell and mother of pearl (MOP) embedded in black resin along with a vintage glass beads. 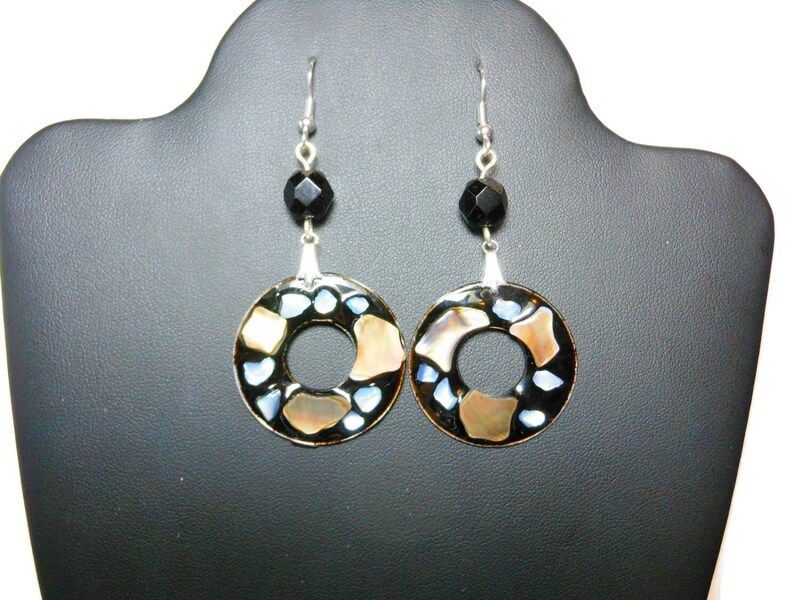 All metal is silver plated. 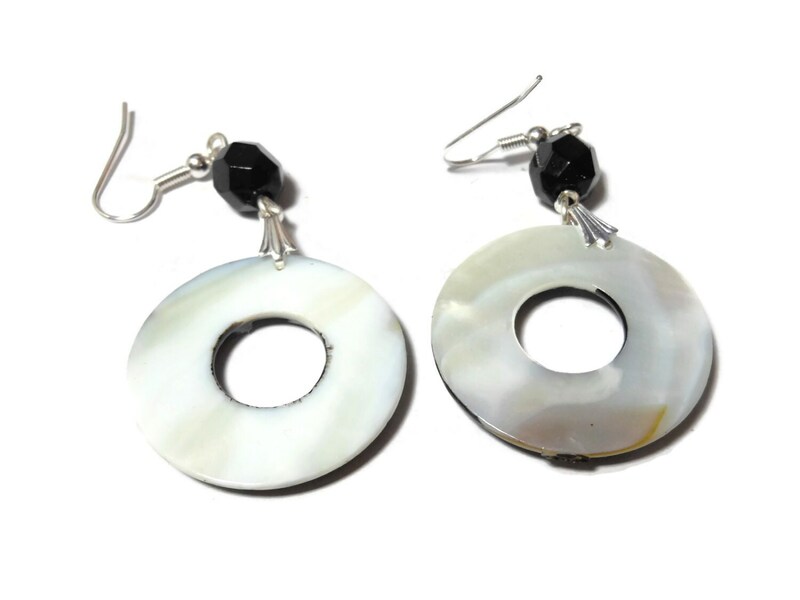 The earrings have a 2 1/2" (6.4 cm) drop.